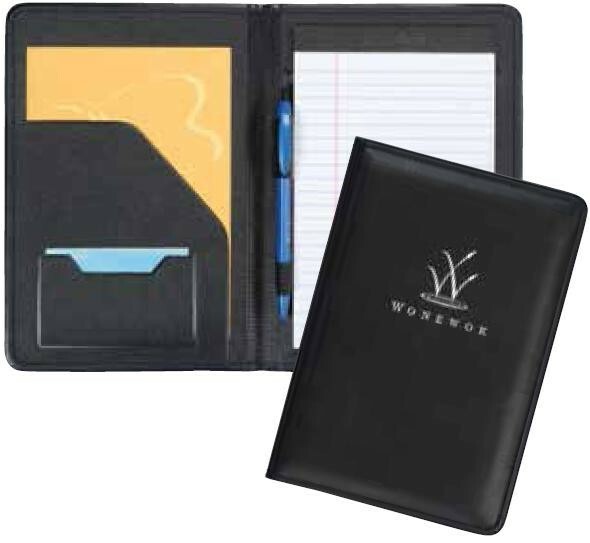 Admiral Pad Folder is made with Calfhyde simulated leather. The covers are padded and stitched. Ruled pad and pen loop included.